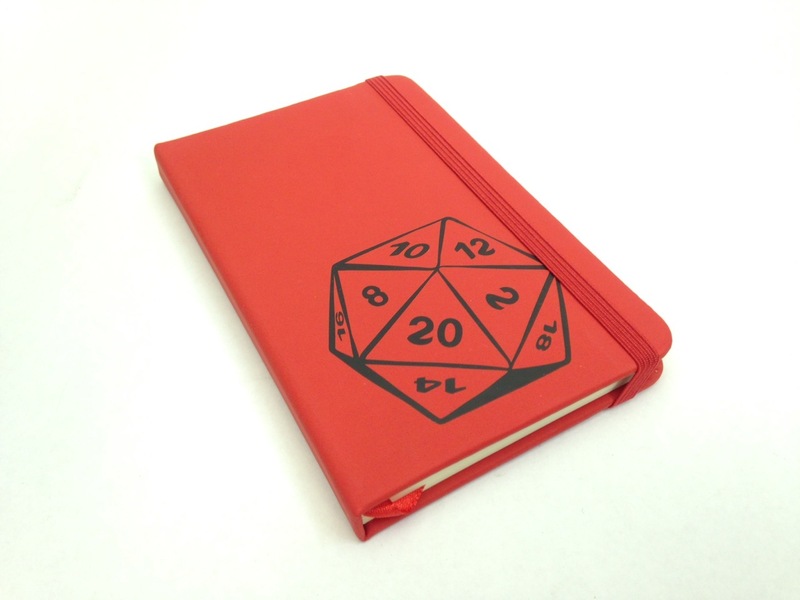 This pocket-sized notebook is silk-screened with a crisp twenty-sided die, an iconic component of role-playing adventure games. It’s an original 1980who design featuring an elastic closure, ribbon bookmark and glossy faux-leather cover. Inside pages are lined on both sides. Perfect for dungeon masters, game players and travelers. 90 ruled pages, warm white paper.